Package redesign and brand identity for a line of cold pressed juices for the retail environment. Currently the brand only existed online. We created a unique brand identity that highlights the raw fresh nature of the product. 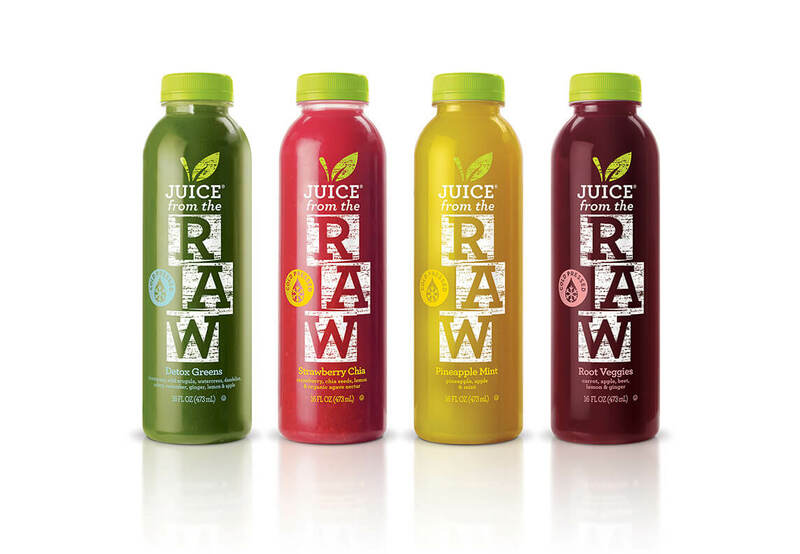 The handmade feel of the packaging graphics support the unprocessed nature of these juices. In addition, we created the brand call to action – “Live Life in the Raw” which embraces the spirit of the brand.